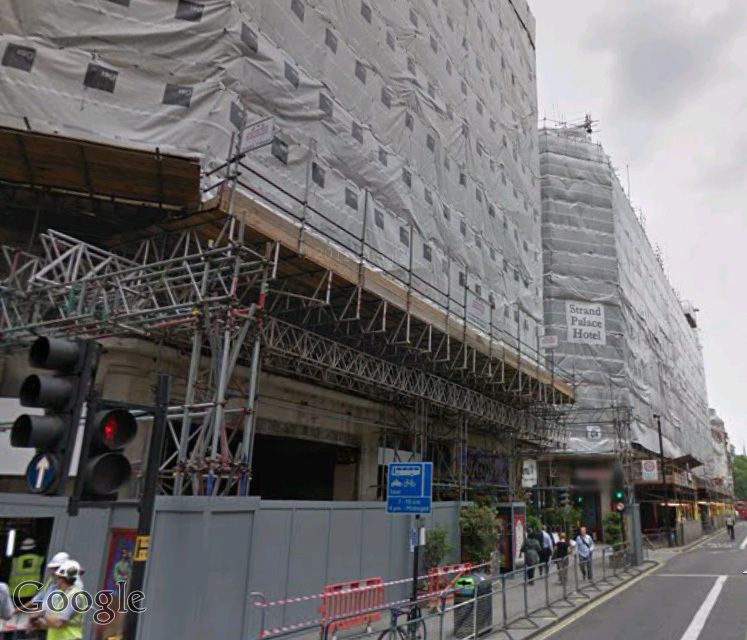 There’s always a lot of scaffolding in London. There’s less now than just before the Olympic games but there is still a lot. There are a lot of buildings to be refurbished, demolished, built or preserved and it is often a nightmare for shops when scaffolding appears, obscuring their very existence. There was a rather grotty old pub in Waterloo station that, despite being a dark, subterranean hangout, akin to the Star Wars Cantina, was always packed. As part of the refurbishment of the station scaffolding and hoardings appeared in front of it and, despite rather small scrawly signs pleading “WE’RE STILL OPEN”, trade dropped off significantly and the pub eventually shut. On my regular walk from Waterloo to Covent Garden I pass a mass of scaffolding and hoardings that surround an old building on The Strand. 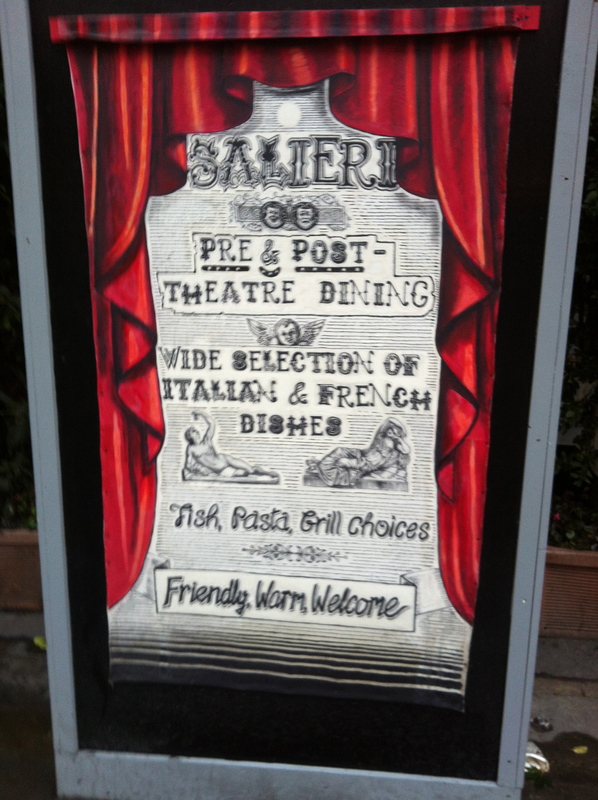 This building is home to Salieri, a mediterranean restaurant in the heart of the busy West End theatre district. The location on the strand is a very prominent one but since the scaffolding was erected the restaurant is virtually invisible to passing trade. What most businesses appear to do in this situation is to curse their luck and let the scaffolding become the bane of their life. They might blame the scaffolding for a reduction in trade which could end up becoming a self-fulfilling prophecy as their attitudes and demeanour to customers change subtly. They might try to fight back by putting up a victim-like message saying “APOLOGIES FOR OUR APPEARANCE” or a “WE’RE STILL OPEN” sign. 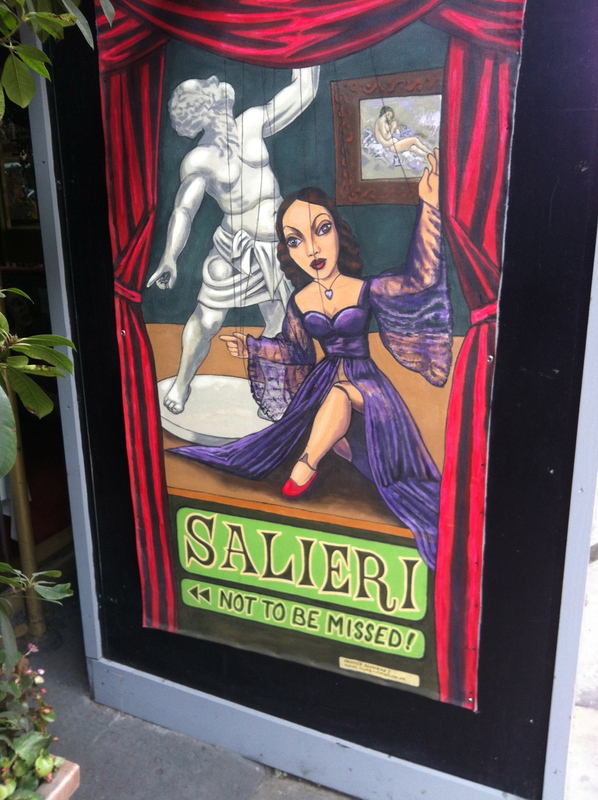 What I love about Salieri is they appear to have said a big, creative YES AND…to the arrival of the scaffolding. 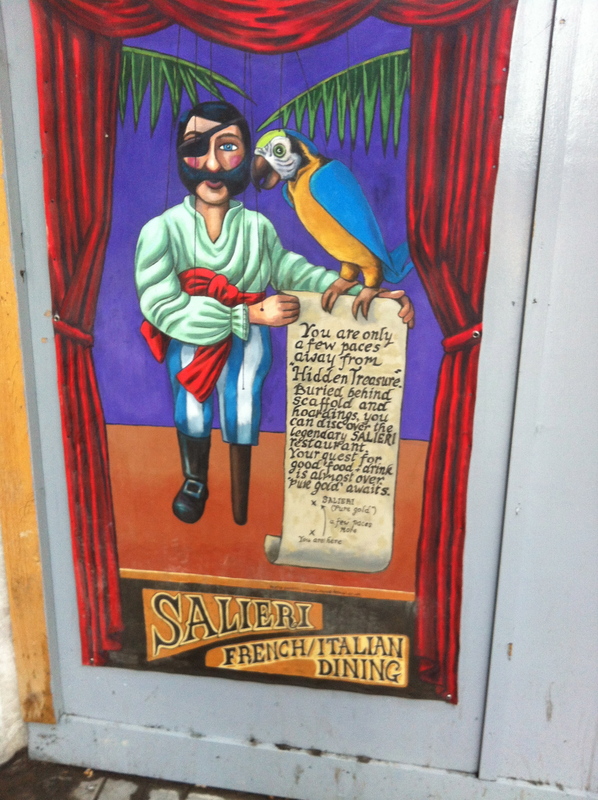 My friend and improvisation/creativity guru Rob Poynton wrote a wonderful book called Everything’s an Offer and it seems that Salieri have taken this philosophy to heart. (I’ve no idea if they have read the book!) 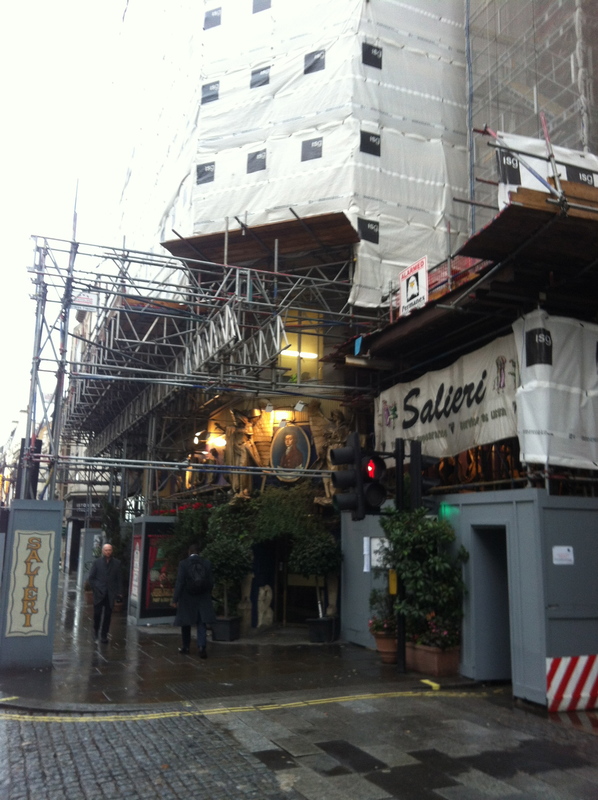 Salieri have treated the scaffolding as an offer, an invitation to improvise and have incorporated it into the whole restaurant experience. And as Rob says: Let Go, Notice More and Use everything…because everything’s an offer!